Distressed properties continue create a lot of downward pressure on home prices. From the peaks in 2005 to the end of third quarter of 2010 the median price for residential property has declined by 58%*. Prices remained relatively stable throughout 2009 , but the increase in distressed properties (foreclosures and short sales) in 2010 has pushed prices to new lows. Of the 4,916 residential homes that sold in Brevard County since the start of 2010, 47%* of those properties were either foreclosures or short sales. Interestingly, while distressed properties make up only 36%* of the available homes for sale they count for 47%* of the closed transactions. This is the main reason that the median home price continues to decline. The number of residential properties sold in the third quarter of 2010 was 1535, that compares to 1768 from the third quarter of 2009, and that is a decrease of 13%. ABSORPTION RATE is a calculated ratio that can show you the relationship between supply and demand. It is calculated by the total number of homes for sale at the end of the month divided by the total number of homes sold. The ratio represents how many months it would take to sell all the homes on the market at the current pace. Looking at these numbers and trends, you can see that Brevard County is still in a "Buyers'" Market, but good homes priced properly are selling. There are many homes on the market (but inventory has been shrinking) which allows, you as the buyer, to find the right home for you, at a good price. If you are selling a home, and, it is priced correctly, IT WILL SELL. I have done this many times in this market. Pricing, strong marketing, and the condition of your home are the keys to accomplishing this. If you are buying there are plenty of deals available and sellers are willing to negotiate. If you are selling, don't listen to all the bad news. IT CAN BE DONE! You just need realistic expectations and an aggressive marketing plan. 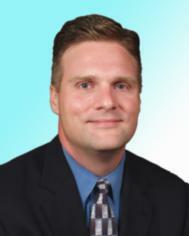 John S Murphy is a full-time REALTOR® with RE/MAX Elite in Melbourne, FL. He is also the creator of www.AmericanAirmanhomes.com, a website that specializes in PCS, DOD, and Civilian relocations to Patrick Air Force Base, FL. --- Doing a home search? Visit his website and search the entire Brevard County MLS. Post © 2019 John S. Murphy, Specialist - Patrick AFB (RE/MAX Elite). Design © 2019 ActiveRain, Inc. All rights reserved, Inc.